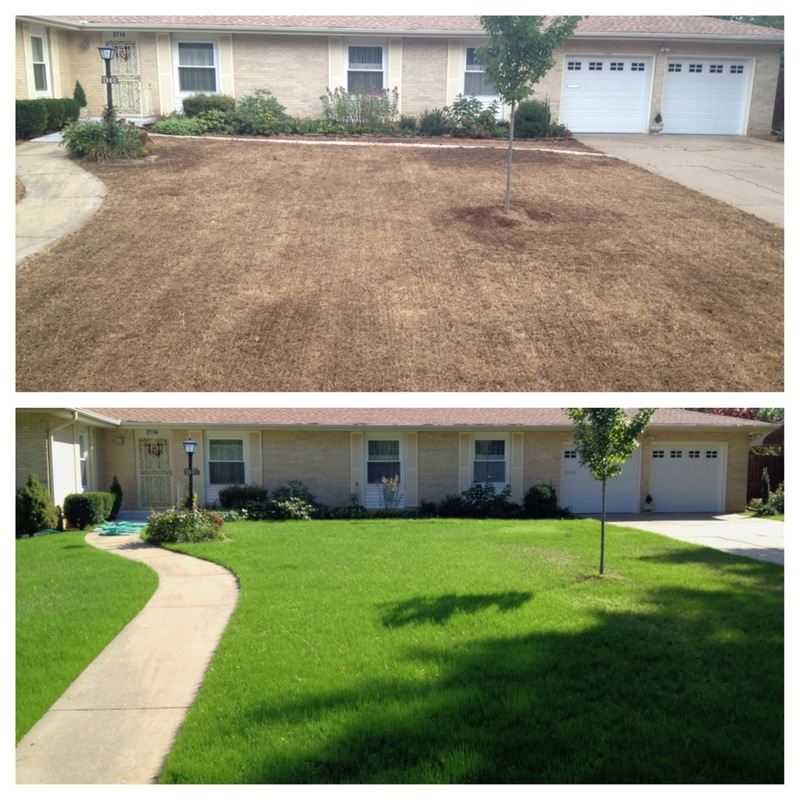 Before & After picture of a lawn Classic Lawns killed out and reseeded. Pictures were taken only 30 days apart! Over seeding your lawn is the best way to a thick, full lawn! The ClassicLawns process gives excellent results that we guarantee. We apply our premium turf-type tall fescue seed. Then, we use a verticutter to make grooves or lines for the seed to fall into. If needed, we may recommend a core aeration to be done prior to this process. This process gives excellent results and we stand behind our work. If you follow our watering guidelines, we will seed any spots that do not fill in by the following Spring! We have three possible processes that we do when we seed. Which one we do depends on your lawns specific needs. We seed areas as needed with our Premium Turf-Type Tall Fescue mix to improve your lawns color & thickness. We apply seed, verticut it in & apply a starter fertilizer. This grass is very drought tolerant & disease resistant. We core aerate the lawn to help air, water & nutrients reach root system. Read more about Core Aeration here! This will help lawn be thicker & healthier. After the aeration, we seed areas as needed . This process always gives the best results. We combine both a core aeration and verticutting! We core aerate your lawn then apply our Premium Turf-Type Tall Fescue. Once this is done, we verticut the areas of your lawn that we seeded. Before seeding we may recommend killing out undesirable grasses in your lawn like Bermuda Grass or Johnson Grass. These types of grasses are invasive and unattractive and unfortunately there is no easy fix to rid them from your lawn. We kill out areas of grass that are undesirable with Round Up. We spray 2-3 sprays 7 days apart. We usually start this process in late July or early August. The last day to start this process is September 15th. When should you seed your lawn? The absolute best time to seed your lawn is in the Fall. We usually seed in the Fall between August 25th and October 20th. Fall seeding works best because of the moderate temperatures. Plus, the roots of the new grass get plenty of time to develop and mature before they are exposed to summer heat and drought. At ClassicLawns we usually try to avoid spring seeding. Spring seeding is usually not very successful. Seed will come up nice in the Spring, but it rarely makes it through the Summer. The roots just don’t have enough time to mature before it gets hot outside. There are a few exceptions to this. If you have a lawn with a ton of shade, Spring seeding might work well for your lawn. The shade might protect your new grass from the summer heat plus you don’t have falling leaves to deal with like you would in the fall. Another exception is if you are just doing a small area. Spot seeding small areas of your lawn that need improving in the Spring is ok. The final exception is when you just have very little or no grass at all in your lawn. In this case, we seed and just hope for the best through the summer heat and drought. Then, we usually have to seed again in the fall to get a good stand of grass. We use the same process as fall when we dormant seed. The main difference is that we apply the seed when soil temperatures are too cold for germination (Dec. & Jan.) When the soil becomes warm enough in the spring, it then germinates. Fall is always the best time to seed. 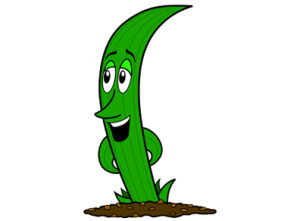 However, if you did not seed in the fall or if you did not do a good job watering your fall seeding, dormant seeding may be right for you. Dormant Seeding your lawn is usually a better option than Spring because the new seed gets a head start germinating so it has a more mature root system going into the Summer. The one downfall to Dormant Seeding is that if we have a very dry Winter, the seed may dry out and not germinate. Tolerates heat and dry weather better. Fewer problems with thatch and insects. New varieties are even darker green than bluegrass. Call ClassicLawns today to schedule your seeding!